Sign up with your email address to receive news and updates from BCB Salon. Congrats on your engagement! This is an inquiry form only. We will contact you directly to book your wedding appointments. Please check the wedding services you are interested in. Please share any questions or additional details you have for us! Thank you! We will contact you as soon as possible to schedule your trial appointment and make arrangements for your big day! Thank you! We will contact you as soon as possible to schedule your group and discuss group rates. The Chopping Block was first founded in 1991 by Denise Queen, with the simple intention to create an inviting neighborhood salon. BCB evolved over the years, becoming known for beautiful, contemporary styles and exceptional service. 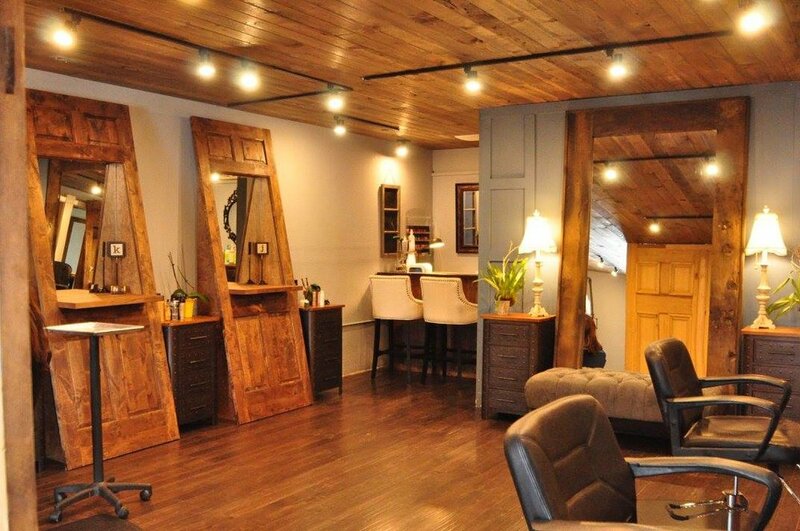 The Chopping Block began as a comfortable salon, focused on styling local clients and touching the community. It was purchased in 2015 by Ireland King, who transformed it into Breckenridge Chopping Block; a high-end, beautiful space for an elevated experience. Ireland put together a talented styling team with high service standards. Melanie Dunn, purchased the salon in 2018, retaining stylists, and continuing to grow. Melanie has made it her purpose to uphold BCB's inviting reputation and high service standards, while growing BCB’s reach. Melanie has taken the salon green, with choice products and the Green Circle Salons recycling program.